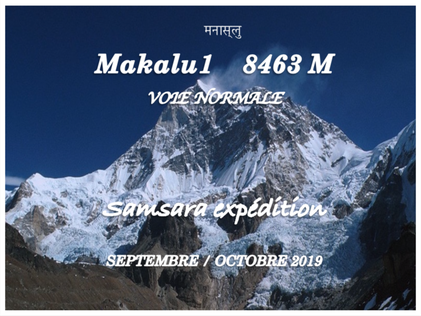 Makalu is the fifth highest peak in the world. This massif, whose name means "the great black", is one of the eight thousand that still offer mountaineers first-rate opportunities: the northern slope, located in Tibet in particular, has not yet been explored much. The enormous dark pyramid of its summit, is visible from the southern slopes of the Himalayan massif and the Indian city of Darjeeling, from where it was once confused with Everest which disappeared behind it and Lhotse. AND WHAT ABOUT THE ASSOCIATION ? This major challenge also has a humanitarian purpose, by helping the association in its missions. Indeed, 5% of all sponsors, financial support and donations will be paid to Samsara association, and 100% of any budget surplus will be paid to the association. In addition, the mountaineering team is committed to hiring local carriers and guides from the Rolwalling Valley. All donations and support are tax-deductible for French citizen! Thanks to the blog maintained by our famous journalist and writer Jean-Michel Asselin, you can follow the progress live!